When Singapore fell to the Japanese on 15 February 1942, it was a devastating blow to the Allies, the British Empire and signalled a significant turning point in history. 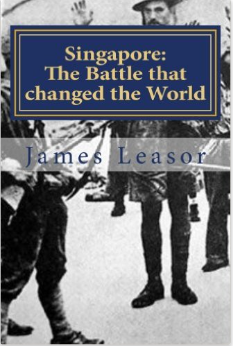 James Leasor’s story begins as far back as the early nineteenth century, with imperialism and the settlement founded by Sir Stamford Raffles. He charts the years leading up to Singapore’s defeat and the realisation that the West was not invincible. It includes direct, personal input from some of the main players involved including that of Lt-Gen Percival, the British commander who signed the surrender document, shortly before he died.